Sure, it’s freezing outside, but you have to admit it’s still (always) a good time for ice cream -- especially ice cream that’s loaded with cookie dough. Ben & Jerry’s knows this, and so it officially unleashed three new cookie dough-filled Core ice cream flavors on Wednesday that will allow to get your ice cream and cookie dough fixes while you’re burrowed under blankets next to your radiator. 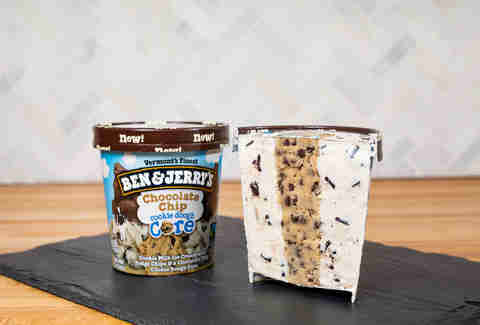 Ben & Jerry’s, which is credited with inventing cookie dough ice cream, said it’s paying homage to the popular dessert combo and upping the ante with the all-new, decadent flavors: Chocolate Chip Cookie Dough Core, Sugar Cookie Dough Core, and Wake & “No Bake” Cookie Dough Core. The company is even going so far as to proclaim 2019 the “year of the dough,” which may or may not be fitting if you’ve already given up on your resolution to diet. Each new pint features a twist on the original cookie dough ice cream flavor that Ben & Jerry’s developed in the late ‘80s. This new flavor is “a nod to the original.” It features a doughy core surrounded by cookie milk ice cream and fudge chips. If there’s a way to improve basic cookie dough ice cream, it’s probably this. 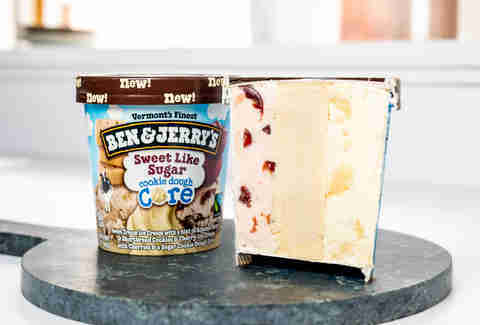 Ben & Jerry’s second new flavor has a sugar cookie dough center surrounded by sweet cream ice cream with a hint of almond flavor, shortbread cookies, and cherry ice cream with cherries. Think B&J’s Cherry Garcia flavor, but with a crapload of cookie dough in it. This flavor features a no bake cookie dough core surrounded by vanilla ice cream with peanut butter cookies, peanut butter ice cream, and fudge chips. The whole “no bake” thing applies to the cookie dough, of course. The ice cream purveyors created each uncooked cookie dough core using heat-treated flour and pasteurized egg yolks, which means they’re totally safe to devour up by the spoonful. The last thing you want to have to worry about while settling in with your favorite snack is whether you’re going to be sick afterward. 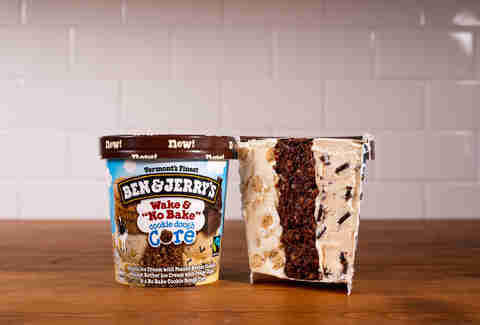 Ben & Jerry’s new core flavors are hitting store shelves now, including the company’s Scoop Shops across the country. If that’s not motivation to get out and brave the cold, we don’t know what is.